Here is a game featuring strong endgame technique from a harmless Caro-Kann queenless game. World vice champion U18 in 1994. Los Angeles Metropolitan Open 2011, 2nd-7th. TCh-HUN 2012–13 Mako HUN (4), 18.11. The game went to queenless play quite early and then black managed to get BN for R with a small combination. 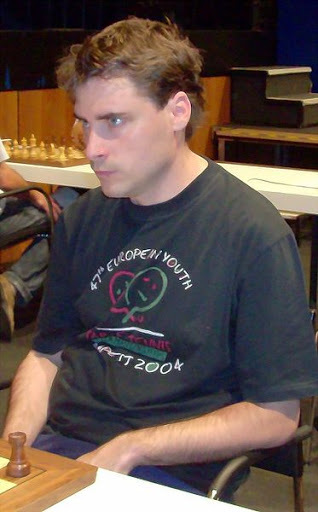 Black must continue the technical phase with purposeful play. White is saddled with an isolated e-pawn but for the moment Ke2 keeps it secure. What should black do?